NAIROBI, Kenya, May 9 – The Special Senate Committee investigating allegations against Embu Governor Martin Wambora will re-convene on Sunday after holding its first session at the Kenyatta International Convention Centre. The committee chairman Boni Khalwale said they adjourned to give Wambora time to respond to the allegations he’s facing. The Kakamega Senator based his ruling on Article 50 of the Constitution that upholds one’s right to a fair hearing. Wilfred Nyamu appearing on behalf of the Embu Governor had earlier requested the committee to defer the sitting because Wambora learnt of the invitation through an advertisement placed in Thursday’s newspapers. “The rules provide that service of invitation shall be personally effected on the Governor. He was served yesterday for appearance today through by an advertisement, which did not have details of the charges,” Nyamu told the Senate team. Wambora was not present but his lawyer told the sitting that his client did not have sufficient time to prepare his defence. This prompted interjections from committee vice-chairperson Kipchumba Murkomen, Siaya Senator James Orengo and Kiambu Senator Kimani Wamatangi who indicated that the Embu Governor was aware of the charges because he had even placed advertisement in two newspapers to respond to the allegations. The committee was forced to take a 15 break to discuss the matter and when the hearing resumed, Khalwale ruled that Governor Wambora had been properly served with summonses to appear before the Senate team. The Senate Standing Orders provide that Wambora can appear in person, through a lawyer or both. “By presence of Nyamu, it means he has chosen to appear through an advocate,” he ruled. The 11-member committee is investigating allegations of gross violations of the Public Procurement and Disposal Act, 2012, and the Constitution made against Wambora by the Embu County Assembly. 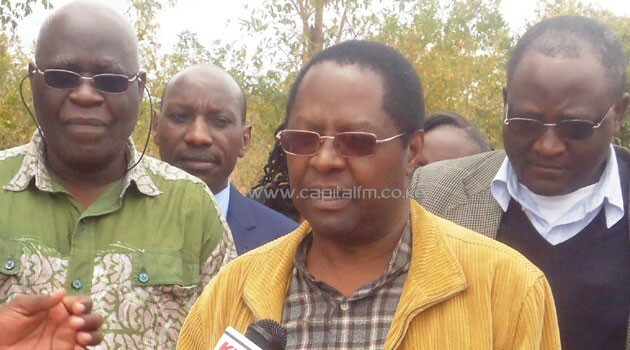 The Special Senate Committee is expected to file a report by Thursday whether Wambora can be impeached for the second time, after the Embu Members of the County Assembly passed a motion to eject him from office.